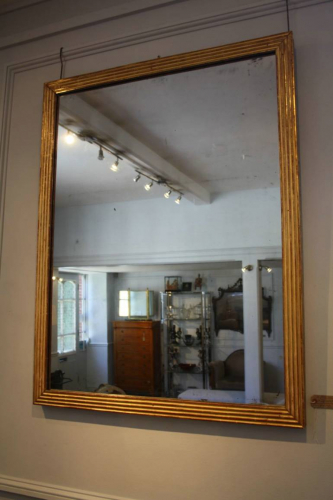 A very elegant and simple reeded gilt wood framed mercury glass mirror. French c1840. Lovely original condition. Can be hung portrait or landscape.